Mumia’s wife and brother were allowed to see him separately for 30 minutes each late this morning. The mobilization worked. But our job is not yet done. On the morning of March 30, 2015 Mumia fainted in the prison and was taken to the ICU of a nearby clinic. His blood sugar count was dangerously high at 779. He was in a diabetic shock. For perspective: diabetic coma is 800. He is recovering slowly and still in ICU. His blood sugar is currently at 333. That Mumia had diabetes was a complete shock to all of us. For the last 3 months, he has been under medical care in the prison and diagnosed with eczema. And since he had three “comprehensive” blood tests since February, diabetes should have been diagnosed and treated accordingly. But it never was. Instead he has been subjected to hell by the prison medical system. In January Mumia was shaken out of a deep sleep by guards during count. For the infraction of not being awake during count he was punished for 2 weeks, without calls or yard. Deep trance-like sleep and lethargy were the first signs of the problem. In addition to the physical depletion produced by untreated diabetes, he was/is also dealing with a severe outbreak of eczema. He likened his skin to that of an elephant’s. It was raw, blistered and bloody all over. He was so sick that he was not taking visitors. The “meds” he was given for his skin produced an extreme adverse reaction. His skin swelled and ruptured and he was put in the prison infirmary for 2 weeks. These two very very brief visits by his immediate family were important. But the OUTRAGEOUS actions by the PA DOC continue. They are controlling the hospitals actions and LIMITING all information about his condtiion. Preventing the Mumia Abu-Jamal and his family from getting access to the critical information they need for his care. His family and lawyers still have very very little information about his treatment and his conditions. They are trying to limit additional visits. It was inhumane that his family continues to be limited in accessing and monitoring his condition and his health. Literally for 20 hours his family was in the Intensive Care ICU and were told nothing. Now that they have had a visit. They are attempting to speak with the doctors and get medical records. Literally after 20 hours of torture Mumia remains in intensive care. .
Mumia’s family is keeping vigil in the ICU critical care visiting room. Schuylkill Medical Center in Pottsville, PA. The Abolitionist Law Center’s Bret Grote is in Pottsville and taking all necessary steps to gain access to his client for the family and access to his medical records so that independent doctors can intervene. 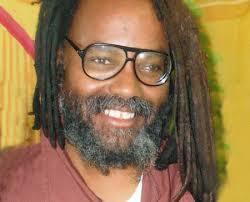 Mumia Abu-Jamal’s brother Keith Cook stated “The rules that the prisons have are very arcane. They don’t give out any information about prisoners to their families or anyone else. It’s like you have your hands tied because you don’t know how the prisoner is and you have no way of talking to him. I remember a month ago— Phil Africa exercising in the prison, next thing they know they moved him to a hospital and didn’t tell his family where he was, and three days later he was dead. The Abolitionist Law Center is a public interest law firm inspired by the struggle of political and politicized prisoners, and organized for the purpose of abolishing class and race based mass incarceration in the United States. Link to Yesterday’s press conference outside of the hospital in Pottsville, PA.
We do not trust that the prison officials will provide any transparency on Mumia’s medical emergency. They indeed told us Phil Africa was fine, and he passed away the next day. We need you to help us demand family visitation rights at Schuylkill Medical Center NOW!